Databeans, a market research company, expects the worldwide sensors and microelectromechanical systems (MEMS) market to grow by 13 percent this year. “Q2 2016 Sensors and MEMS Market Tracker” covers microfluidic, pressure, accelerometers, optical, temperature, magnetic field sensing as well as MEMS devices. The report addresses automotive, computer consumer, communications and industrial markets. 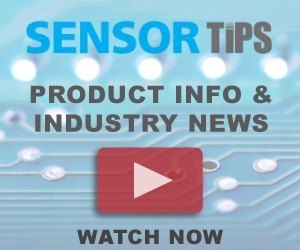 It provides forecasts for all of these sensors by region, market segment, application, and product type. Market share is also provided by region for the overall market and by product type. For more information about the report, click here.